The laundry room is often treated like a stepchild in the home, relegated to the basement, housed in a closet or shoved in the corner. Doing laundry isn’t considered a glamorous activity, and the space frequently reflects the task. Blah! However, when the laundry room is clean, bright and well organized, the chore can take on an entirely new and positive vibe. Keys to effective laundry room spaces are an abundance of storage, places to hang clothes and space for folding. A sink in the laundry space can serve multiple purposes ranging from bathing pets to hand washing delicate garments. Similar to kitchens and bathrooms, open floor plan laundry spaces can serve multiple functions that may include mudroom, craft area, exercise room or play room. There are two main choices for washers and dryers: top-load or front-load. Top-loading appliances are easier to use — simply lift the lid and drop the clothes in. Front-loading requires a little more effort. Typically top-load washers are less costly and run more quickly than front-loading counterparts. Consumer Reports claims that top-load washers also spin faster, which removes more water and thereby reduces dryer time. If you opt for a top-loading machine, be mindful of the depth. For shorter clients it may literally be a reach to remove clothes. Consumer Reportsalso claims that the front-loading machines clean better, are gentler and use less water than top-loading machines. The choice really may come down to aesthetics. Which look do you prefer? Many laundry spaces are not large. To maximize the space and make it look larger and more functional you might want to consider a stacking washer and dryer. Floor-to-ceiling storage, retractable hanging spaces and cabinets can also increase functionality. There is a wide range of eco-friendly products that use less water and energy without compromising performance. 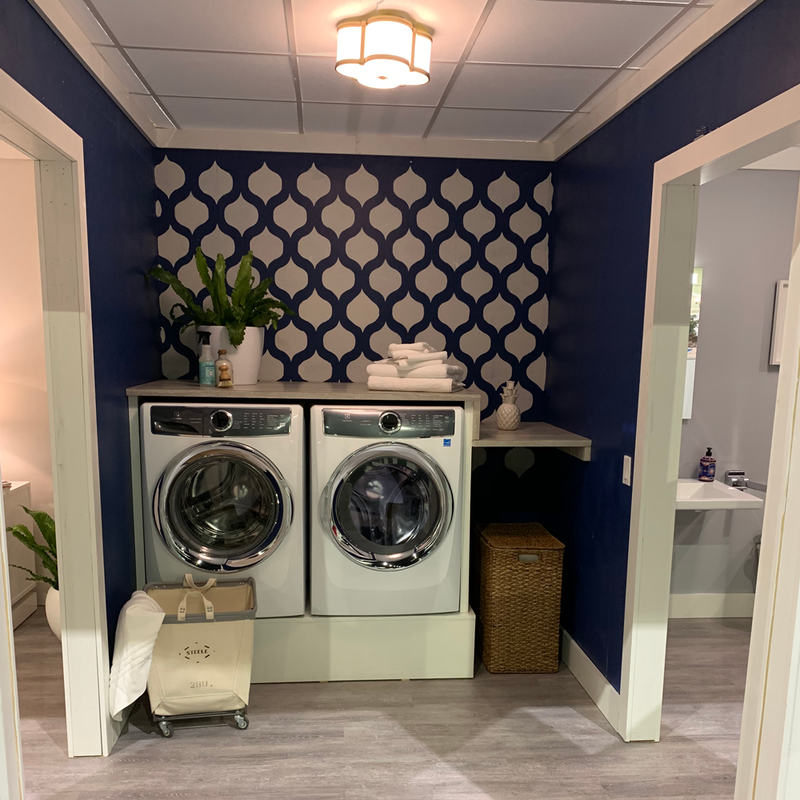 If you are interested in transforming your drab laundry room into something truly exceptional, give us a call at 401-463-1550 or visit our showroom at 139 Jefferson Boulevard, Warwick, RI.